I’ve grown into somewhat of a Darth Vader fanboy in recent years. One of the most iconic villains in entertainment history has an interesting story and the body-count to go with it. After enjoying Star Wars: Tarkin I turned my geeky eyes on any other new material in the recently “relaunched” Star Wars story-line and sieved through the Jedi crap and Princess dairies to arrive at Star Wars: Lords of the Sith then dived in. The Vader/Tarkin interactions were some of my favourite parts of Star Wars: Tarkin and it was going to take a lot to top the excellent pacing and writing in that novel written by James Luceno. I was familiar with Paul S. Kemp from his work in the Star Wars the Old republic novel titled Decieved; which tells the story of Darth Malgus the original main protagonist in the MMORPG. 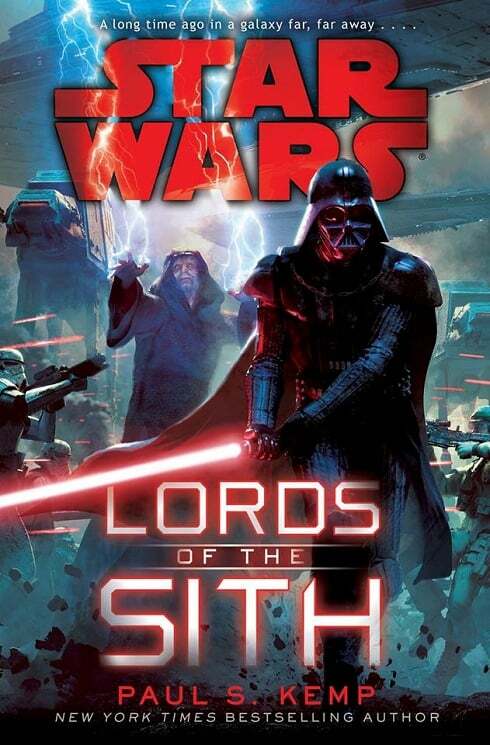 In Lords of the Sith Paul S. Kamp delivers a high action face paced adventure punctuated by frequent bolts of force lightning, flesh eating insects and vengeful Twi’leks. There are some memorable interactions with Lord Vader and his master Darth Sidius which drives home the teacher/student dynamic as Vader seems to be put through various tests by his master who is always one step ahead and empowered by the force. In the end some minor characters do managed to break through from the shadows of the 2-dimensional Sith Lords and left an impression on my mind. Tarkin at this time still remains my favourite Star Wars novel but I still recommend Lords of the Sith for readers looking for a more frantic pace. Are you a fan of Star Wars? What are your thoughts on Disney pressing the reset button on the cannon? Excited about The Force unleashed? Have you seen the first season of Rebels? Leave a comment or tweet me @Jamaipanese and lets talk about all things Star Wars!